Shopping for Sports: Football Plush? Show your team spirit with the NFL Pittsburgh Steelers Ben Roethlisberger Alternate Striped Uniform 10-Inch Plush Figure! 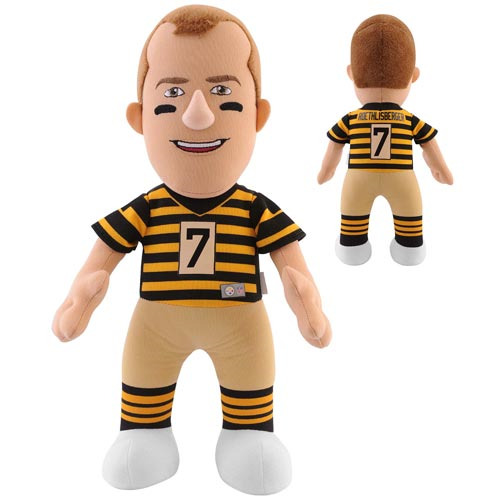 The NFL Pittsburgh Steelers Ben Roethlisberger Alternate Striped Uniform 10-Inch Plush Figure is a must have for football fans. Bring Ben Roethlisberger to your home field! Measures about 10-inches tall. Ages 13 and up.